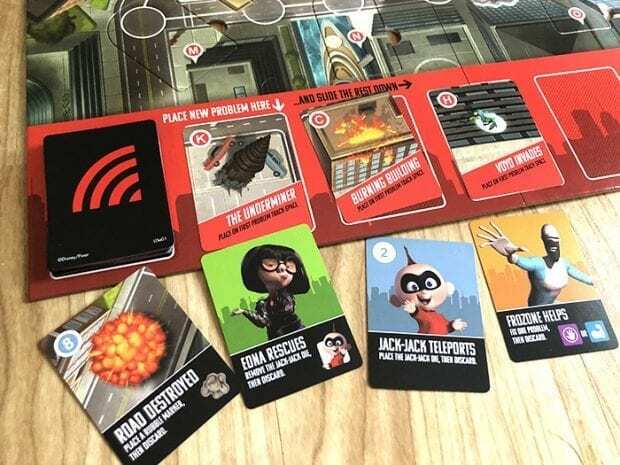 A new Incredibles game has hit shelves and it is so much fun. 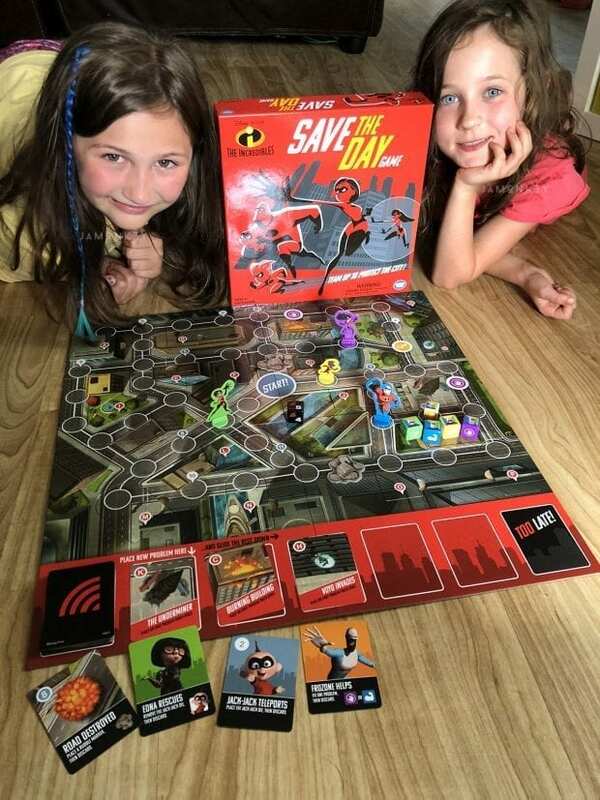 The Incredibles Save the Day Game is a kids teamwork building game unlike any that I have played before. My favorite aspect is that if you lose the game, everyone loses or everyone wins. Everyone is working together to win the game. It reiterates the Incredibles 2 aspect of family helping each other when they need it. The girls and I really enjoyed playing this new game. We've made it a part of our family game time. Trouble is erupting across Metroville, but The Incredibles can save the day! Each player has a unique power, so strategize who will take on each challenge, and work together to stop the crimes before it's too late! 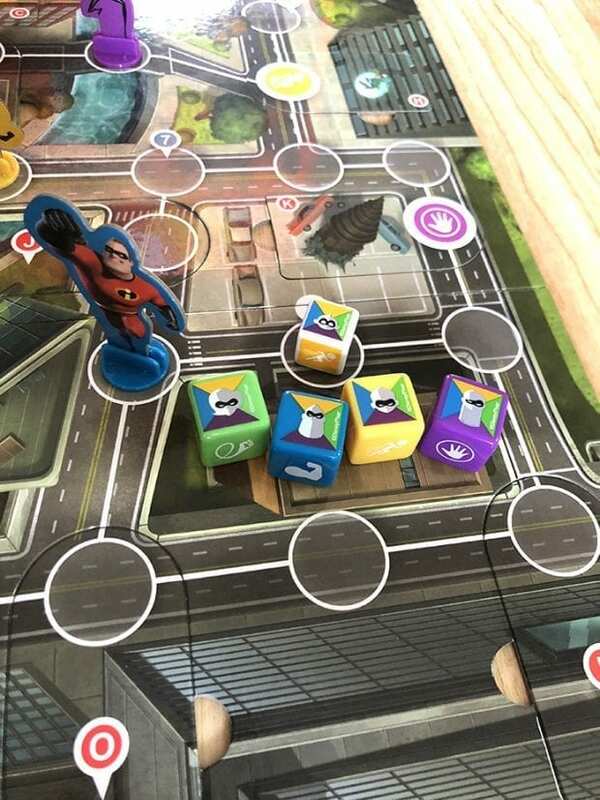 As the alarm goes off across the city, tiles are flipped over on the game board, revealing new problems and even changing the game board paths. If you can defeat the villains and save the citizens before time runs out, you'll be the heroes of the city! Check out our video of The Incredibles Save the Day Game and some Incredibles 2 blind bags. New characters from Incredibles 2 as well as characters we love from the first movie! Characters have their own die featuring unique powers! There are a few tasks to help complete the game. The family has to rescue Jack-Jack from the board because his teleportation powers have him all over the city. Once you rescue Jack-Jack he can be used to solve problems and help the family save the city. Edna and Frozone lend a hand when The Incredibles need it. There are problems that pop up throughout the game and you have to try and solve them before time runs out. The game board has spots that flip over to reveal the problems. The Incredibles Save the Day Game is available now! Have you been following the Incredibles 2 Event? Read all my posts from animators and filmmakers! this sounds like so much fun! And hooooray Frozone and Edna. The stories wouldn’t be the same without them.